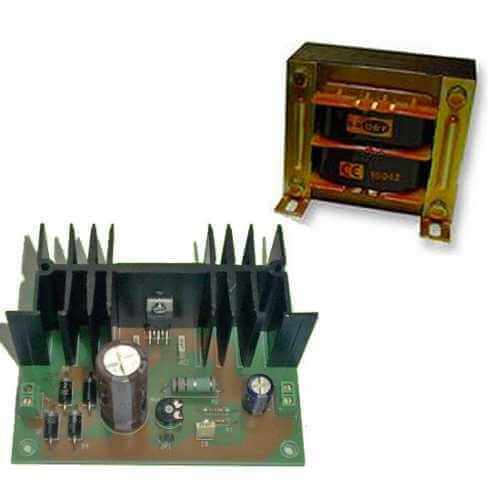 Power supply module with variable output voltage from 3 - 15Vdc, 2 Amp complete with a 230Vac mains chassis transformer. The voltage is adjusted using the board mounted trimmer. The module provides a stabilised output with short circuit and reverse polarity protection and screw terminal blocks for connections. Continuous output current 1.5 A max. Peak Output current 2 A max.